There’s no shortage of ways to discover our natural beauty and enjoy our renowned hospitality and charm. Come and join us as we celebrate our music and culture at more than 800 festivals and events. Or check out our rich and diverse past at an impressive network of museums and heritage sites in historical communities. Nova Scotia also offers a full range of outdoor activities and amenities, from delicious seafood dining and kayaking to hiking, whale watching and golfing. 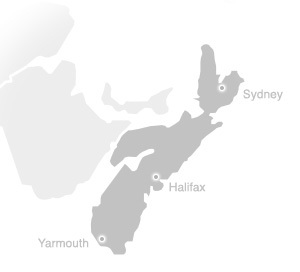 Enjoy your visit to Nova Scotia!